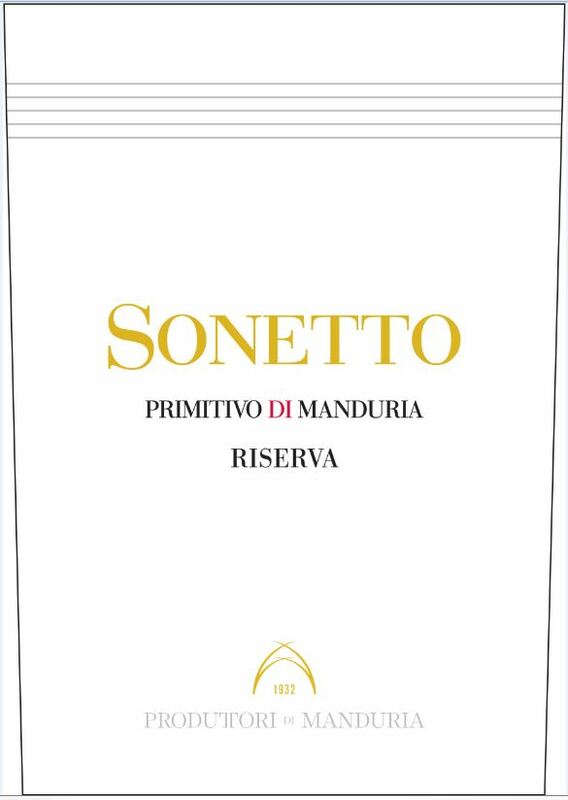 Sonetto is Produttori’s finest expression of Primitivo di Manduria. Made from 100% Primitivo grapes, hand-harvested and carefully selected from Produttori’s oldest “alberello” trained vineyards (90 years old). Fermented in temp-controlled stainless steel tanks, with 3 weeks of maceration with the skins. Aged for 2 years in French Oak (Allier) barriques, and released after additional 12 months of bottle aging. In order to preserve its unique character, Sonetto is bottled un-filtered. Decanting is recommended. Dark, deep ruby red, dense and concentrated. A über-classic Primitivo di Manduria, offering notes of blackberry jam, dry figs, spice box, tobacco, leather and hints of dry, balsamic herbs. A complex, rich and yet elegantly crafted Primitivo: full-bodied and velvety, with robust tannins supported by a balanced acidity and a dry, focused finish. An ideal companion for grilled t-bone steaks and beef stews, it is also recommended with ripe, mature cheeses and roasted or braised beef.